There is world music, and there is jazz. 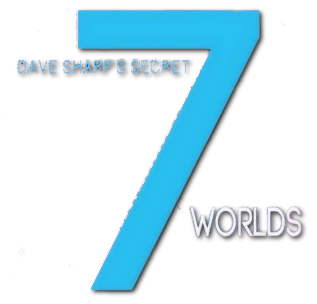 When the two collide, you get Worlds (Vortex jazz Recordings, 2013) by Dave Sharp’s Secret 7. 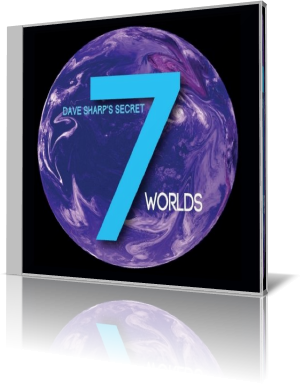 Recognized in the JazzTimes 2010 Critic’s Poll, Dave Sharp’s Secret 7 blends rhythms, sounds, textures and musicians from around the world. Sharp mostly plays electric and fretless bass. On selected tracks, he plays acoustic guitar, Hammond B3 organ, acoustic guitar, upright bass or ride cymbal. A variable lineup assists him on the different tracks. No two songs have the same lineup. “Sherehe,” which is Swahili for celebration, opens the set. It’s a happy, playful tune which features Andre Frappier on lead guitar, Walter White on trumpet and Chris Kaercher on saxophones. The saxes and percussion carry the mood most of the way, with Kaercher contributing a baritone sax solo. “Nu Africa the D Mix,” one of four arrangements of the song, is a collaboration with co-writer and vocalist Cheikh Lo. It’s a funky piece with Gayelynn McKinney on drums and the full horn repertoire of Kaercher and White. The latter delivers a sassy, brassy trumpet solo. Also contributing is Chris Codish on Hammond B3. The piece is described as a mix of New Orleans, Detroit and African sounds composed from a November 2011 impromptu jam session with Lo and Sharp in Ann Arbor, Michigan. Among the others collaborating with Sharp, contributing co-writing credits, are an international cast of characters. In addition to Lo, who is from Senegal, are Parthiv Gohil of India; McKinney, White, Codish, Gary Schunk and Evan Perri of Detroit; Jonita Gandhi of Toronto; Elden Kelly of Lansing; Mehdi Darvishi of Iran; Frappier of Los Angeles; and Indrajit Chowdhury of New York. Sharp was born in Detroit, where he was exposed to and inspired by the city’s rich musical heritage. He earned a degree from the University of Michigan. During a stint in the San Francisco area, he was bassist and composer for the modern jazz ensemble the Spheres of Influence and the Killer Joe Trio.